This reader shares some fascinating anecdotes about Abraham Lincoln, one of our greatest presidents. 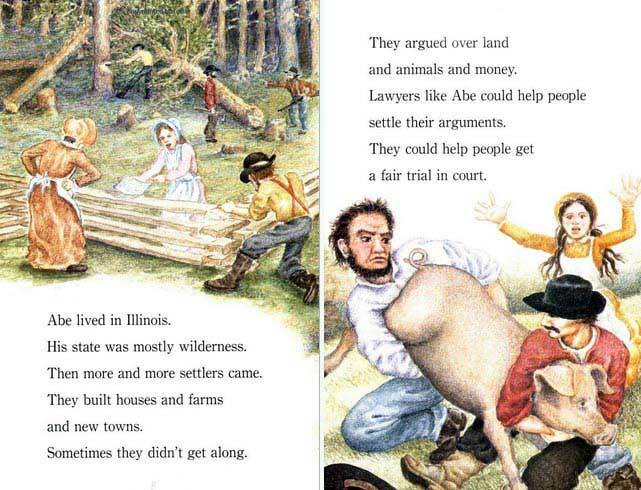 Abe started out in life as an absent-minded frontier lawyer. How did he nudge his memory? He stuck letters, court notes, contracts, and even his checkbook in his trademark top hat. When he took off his hat, it was all there! 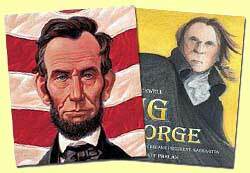 Young readers will be utterly engaged with how Abe's humanity comes across in this accessible, easy-to-read book. Written by Martha Brenner; illustrated by Donald Cook. 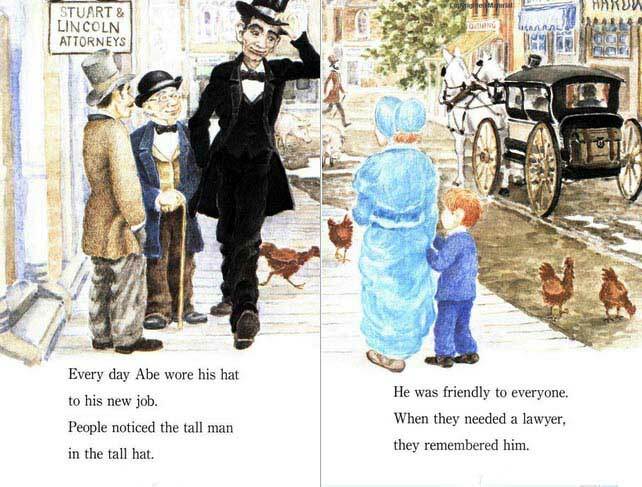 We read each year to our classes, as an introduction to the man AND an introduction to the adorable Abe Lincoln's Hat activity that any K-2 teacher who surfs the teaching blogosphere has probably seen 50 times already. If you haven't, check it out! 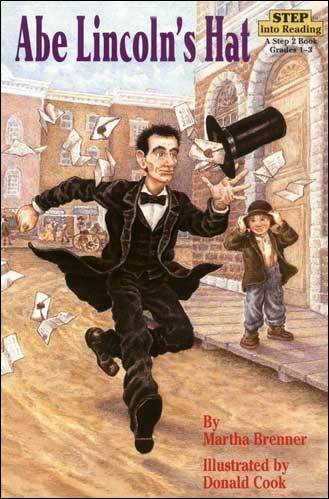 In short, the book spends a few pages talking about how Lincoln used to store important papers inside his hat. 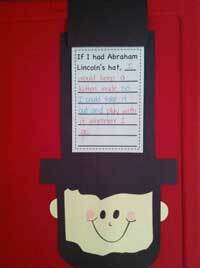 The activity then has kids make an Abraham Lincoln face, and then write about what they would keep in their hat if they had one like his. We are focusing on the hat portion, but the whole book, however, is worthy of a read. 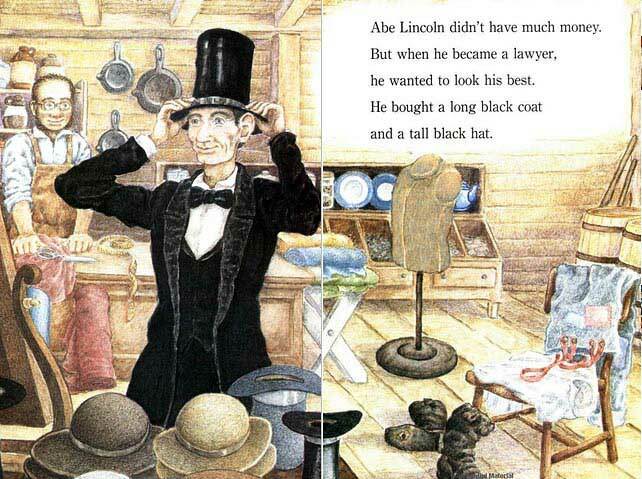 It's a good, kid-friendly read aloud about the life of Abraham Lincoln, and the reading level is just right for kids in second and third grade to read this book on their own as well. 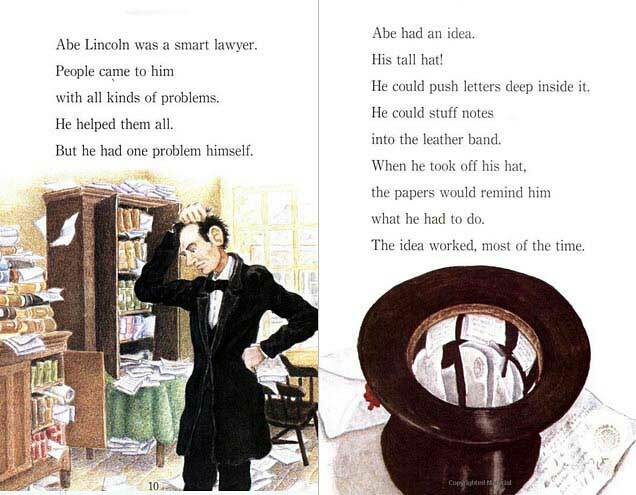 And it is the only "reader" we could find on Abraham Lincoln, so it's great for that purpose (and as an intro to the hat activity, above). Overall, the biographies in this series are pretty good. We put them out after teaching/doing a read aloud on the person being spotlighted. It builds early readers confidence to see us read about a famous person, then to be able to pick up a different book and be able to read about them as well. They feel like such "big kids"! Lesson / Activity Idea: We read this book to our classes around President's Day and then we have the kids make this adorable activity where kids make Abraham Lincoln's head and tall hat, and then inside they write what they would put in their hat if they wore a tall hat like Abe Lincoln did (because, as the book explains, Abe used to carry important papers in his hat). We do this activity every year and the kids love it!